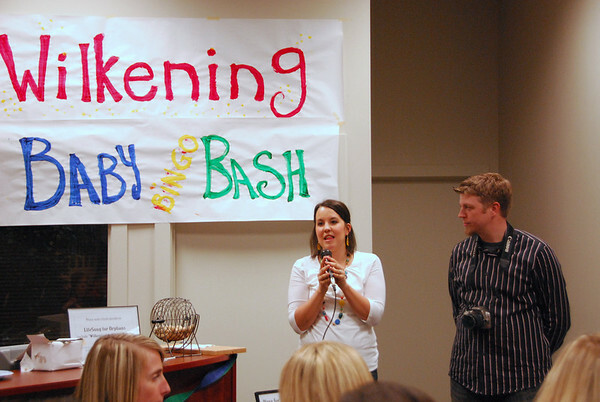 Our friends (featured with the microphone), Mark and Kelsey, are in the process of adopting a baby boy from Ethiopia. 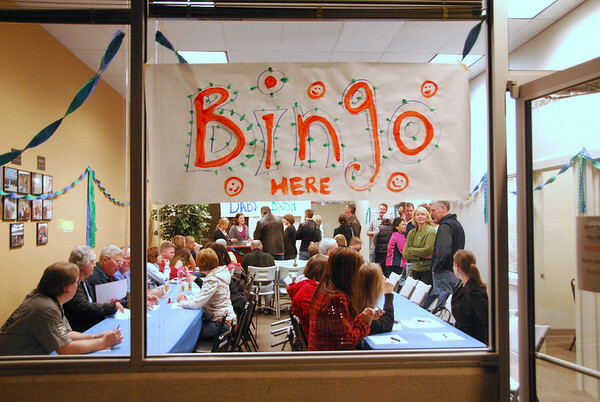 Jeremy Everts came up with the brilliant idea to host a Bingo Fund Raiser. They were able to raise $2300 to help bring this blessing into their home. 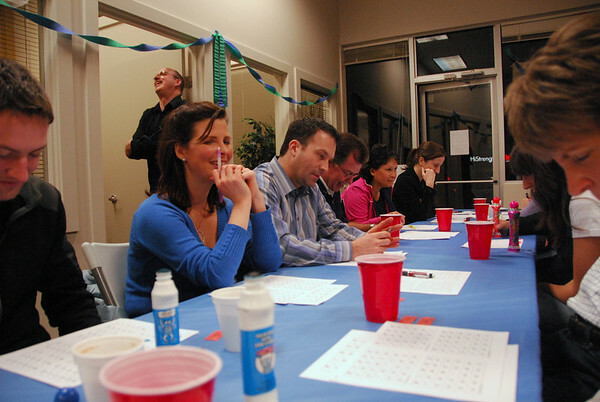 We had a lot of fun...although we didn't win anything. Somehow Ross looks stoned and I look conniving.